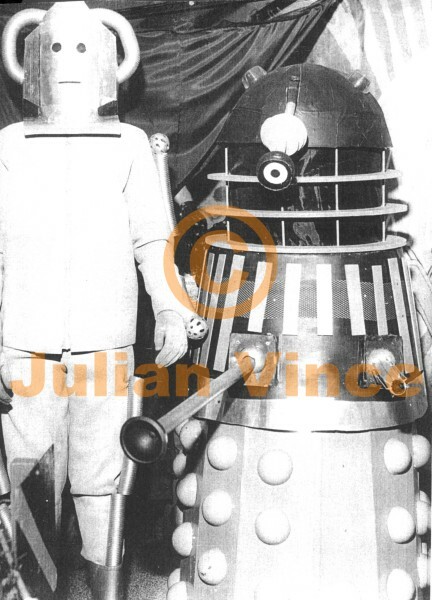 By 1975, I had my first full size, home made DALEK and a CYBERMAN with a cardboard head! It was later that same year that I got my very first chance to climb inside and operate two of the actual DALEKS I'd seen previously on stage, in London. They now were appearing at a shopping centre for a week as a promotion and this is when I discovered that it is not inter-galactic wars that destroy DALEKS- it's hundreds of tiny hands. During this event, I experienced my first time of being interviewed for radio. I had no choice in the matter as I was stuck inside the silver prop, patrolling the shopping mall, when a local reporter insisted on interviewing me- as a DALEK! I had to do the least embarrassing voice I could from inside the stage play prop and answer lots of daft questions. Hopefully, that tape has long since been wiped! Having made some connections by operating these 'real' machines, I was soon allowed to do my own DALEK display. So, the following year, during the school summer holidays, I put on a two week show, through one of the hottest summers on record! I painted a huge canvas as a backdrop, which featured DOCTOR 4, SARAH JANE and HARRY. I got quite large crowds, playing my pre-recorded DALEK voice, while sitting in and activating my home made DALEK prop. Goodness knows what people thought of it all, but you could do things like that then, as they were simply for fun! 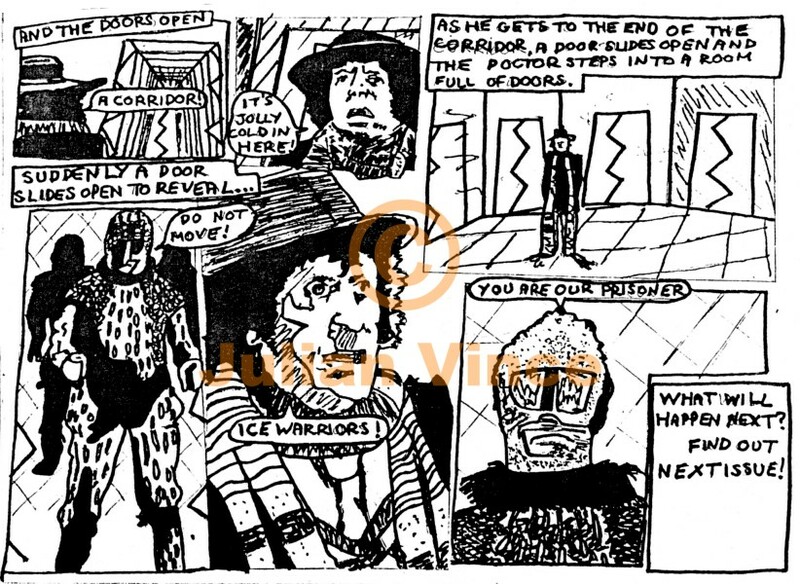 Following this 1976 display, I discovered a new fan club that had recently been created about DOCTOR WHO, so I joined (about the time of issue 8 of TARDIS magazine). Through the DWAS, I found other people who also liked what I liked, except that no-one was really building props. It was mainly all writing, reading, some drawing and lots and lots of talking. So, pretty much by myself, I began to search for more information and images to help me make a better DALEK and CYBERMAN, and to generally improve my model making. Any accurate merchandise reference book will confirm the bare minimum of WHO stuff available up to that moment in time, in the seventies.